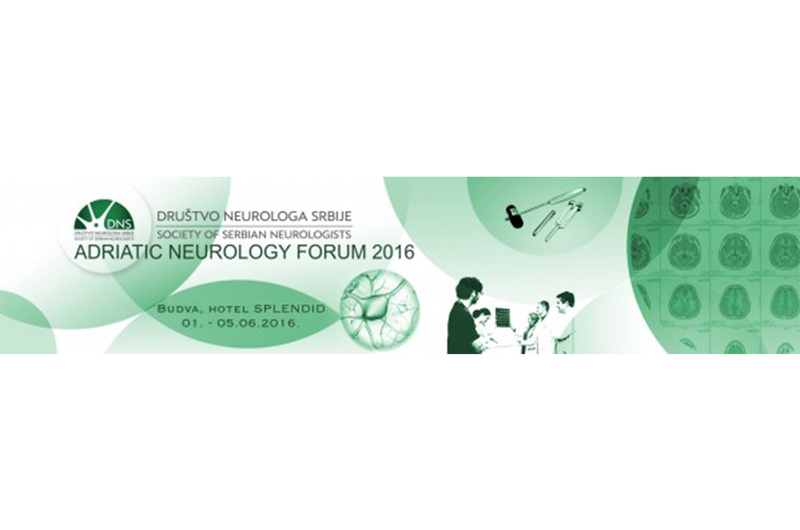 Doctors of the Clinic for Neurology, Military Medical Academy took part in the traditional neurological conference "Adriatic Neurology Forum" held from 1 to 5 June 2016 in Montenegro. The keynote address was given by President of the Serbian Academy of Sciences and Arts - SANU academician Prof. Dr. Vladimir Kostic. This most important event in the field of neurology in the region of the South East Europe was attended by over 200 registered participants. The main topics of the conference included the area of ​​neurodegenerative diseases, epilepsy and multiple sclerosis along with symposium of young neurologists and a poster session. The distinguished lecturers were neurologists from Germany, Great Britain, Italy, the Czech Republic, Turkey and Israel, as well as the regional high ranking experts in the field of neurology. Neurologists of MMA, led by the Head of the Group of Neuropsychiatric Clinic of MMA Colonel Prof. Dr. Ranko Raicevic, who is also the Chairman of the Organizing Committee of the Forum and Chairman of the Association of Neurologists of Serbia had a notable participation at the conference. Besides Prof. Raičevic and Prof. Dr. Vesna Martic, who were moderators of poster session, Prof. Dr. Dragana Obradovic, Prof. Dr. Evica Dincic, Dr. Zeljko Obradovic and Dr Smiljana Kostic had oral presentations at symposiums within the main topic of the meeting. Dr Marija Grunauer, Dr. Mirjana Stojković, Dr. Rade Popovic and Aleksandar Pantovic delivered their oral presentations at the symposium of young neurologists and work results of the MMA’s doctors were presented within poster sessions with five presentations.